Expect another classic Cropredy in year Thirty Nine! That wonderful Old Stager of the UK festival scene, Fairport's Cropredy Convention, returns for it’s THIRTY NINTH year in 2018! The festival has become something of an institution over those years, and for many, the annual pilgrimage to Cropredy in Oxfordshire begins once again 9th-11th August. The festival is renowned for its diverse billing, encompassing some of the greatest global artists in the folk, folk-rock, roots, and blues genres over its many years. You can always expect the occasional genre defying act thrown into the Cropredy mix too! This year’s line-up features the likes of Brian Wilson, Al Stewart, Oysterband, Levellers, and Kate Rusby over the three nights. Fairport Convention play the traditional Thursday acoustic opener, before regaling the audience with the last night full blown 'Fairport and Friends' to close the whole shebang. 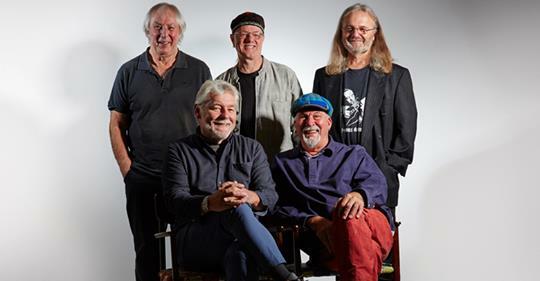 This is Fairport Convention’s own festival as the band celebrate half a century of seminal, mould breaking convergence of folk and rock. One of THE great bands in the history of British music, and still an absolute treat to watch live. Different generations of family and friends flock to Cropredy each year, and tickets are always at a premium. You can check latest availability HERE. It should be another absolute peach of a weekend. See you there!